Lake Minnetonka, the behemoth lake of affluence, wealth, and status found in the western suburbs of Minneapolis, is comprised of 125 miles of shoreline, making it one of the biggest lakes in the state. It’s also home to some insanely huge and beautiful mansions, picturesque gardens, bays, and inlets, and even a Lake Minnetonka Museum in Excelsior. And along the southeast shoreline found in the small communities of Deephaven and Woodland, there are two massive stone arches, which date back to the early 1900’s, when Lake Minnetonka was home to luxurious “estates” of the wealthy upper class.I suppose technically Lake Minnetonka is still home to the estates of the super-wealthy. And a drive near any shoreline only reminds you of that, but it also is a glimpse into history, as many of the mansions date back generations, taking on many different architectural themes from different eras. But, onto the arches. 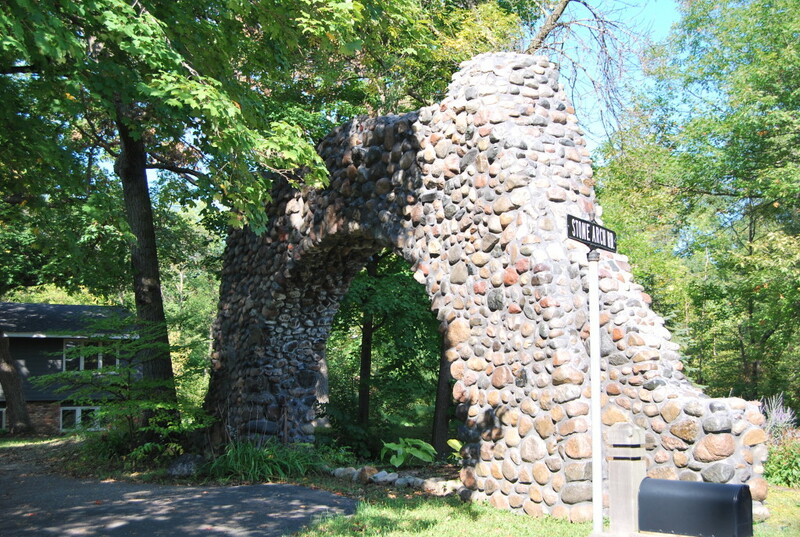 The first arch, known as the “Northome Stone Arch” in Deephaven, is found on Minnetonka Boulevard several miles west of 494. If one follows Minnetonka Boulevard west from St Louis Park past 494, the traffic eventually dies down and you find yourself in a pretty little secluded area along the south end of the big lake. And it’s there you find yourself driving right under a beautiful stone arch. 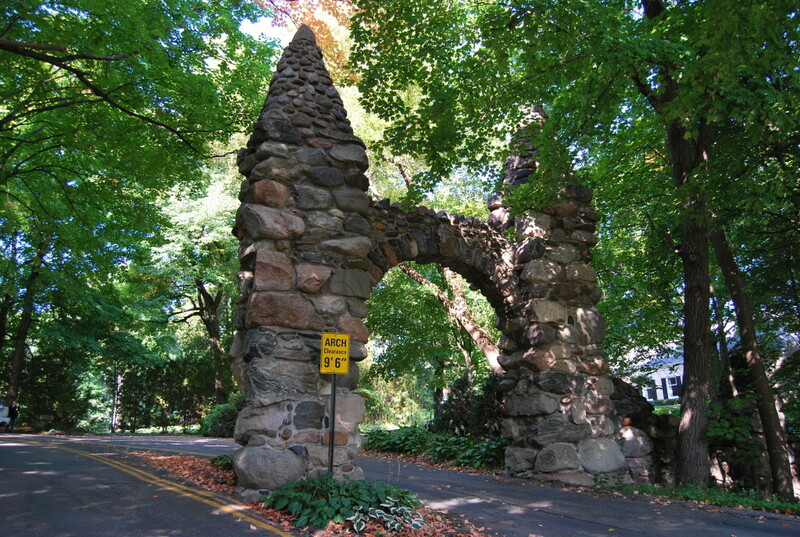 This arch dates back to 1906, and a small plaque on the backside of the arch indicates that the arch originally marked the entrance to the “Cedarhurst” and “Pinecrest” estates. Over time, the arch was donated to the city of Deephaven and instead of an entrance to an estate, the road leading around the lake meandered right under the arch. The left arch was later removed to make way for larger vehicles to pass through. The arch remains a vital reminder of the lake’s history, and in 1986, a restoration project was launched to secure the arch for future generations to enjoy. 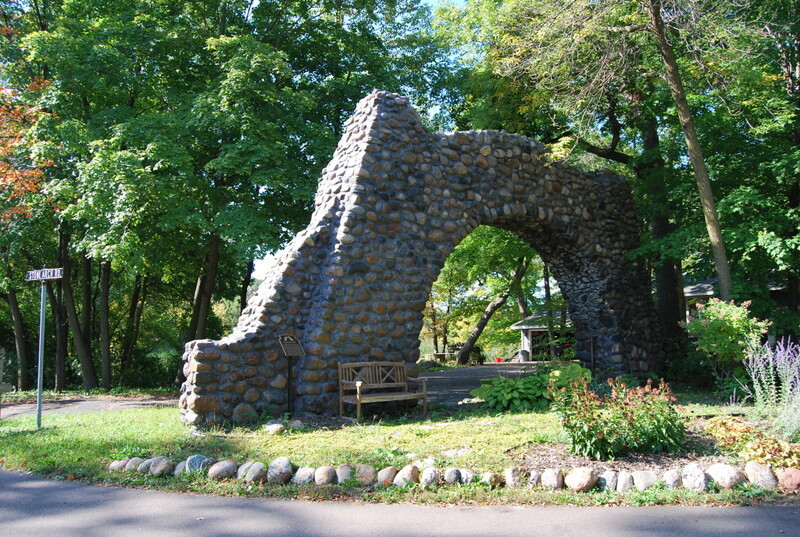 The second arch, known as the “Old Stone Arch,” is found about a mile and a half east of the Northome Arch, and is a little more off the beaten path. It’s found along a dead-end road and basically sits right in the front yard of someone’s private residence. 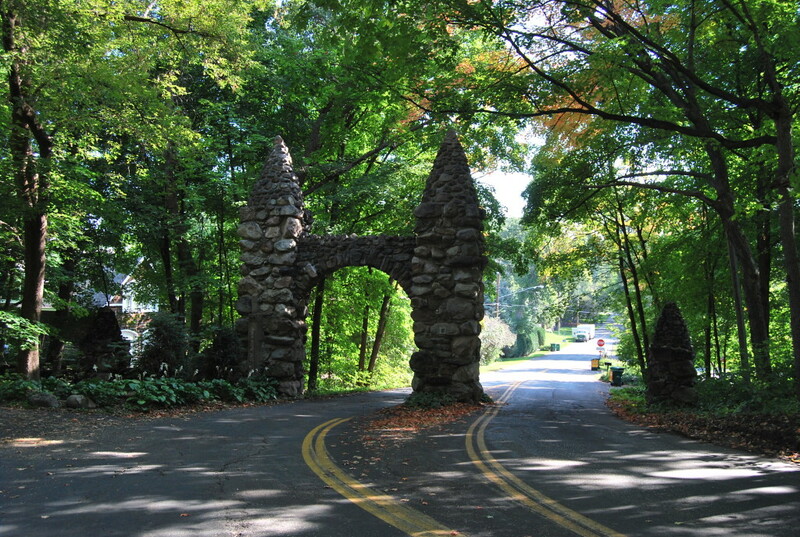 This arch, which you cannot drive under, was constructed around 1900 for the private entry to the George M. Gillette summer estate. Gillette was a prominent businessman and politician. Similarly on this arch, there is a plaque which explains its history. 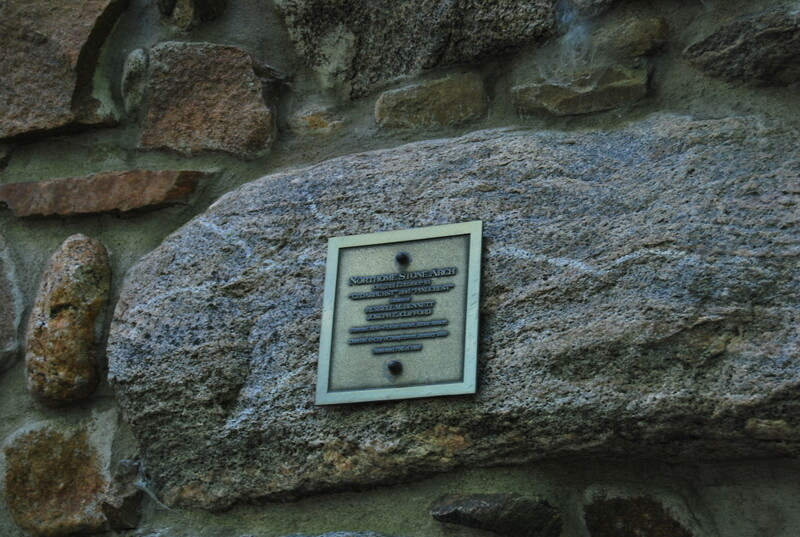 On the plaque we learn that the stones used in the arch were collected from nearby Lake Minnetonka, and the architectural style of the arch set the tone for several other nearby grand lakeshore homes in the area. It was later donated to the City of Woodland and restored in 2011. 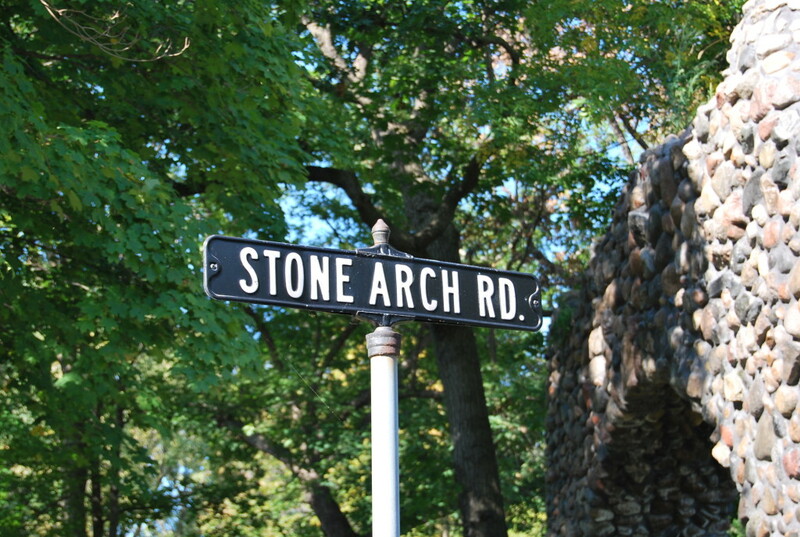 The arches are just a couple of the many hidden gems to be discovered around Lake Minnetonka. It’s worth taking a drive around the entire perimeter of the lake to see what you’ll discover. And it’s a weird feeling turning off of a beautiful, wooded lakeshore road right onto a busy interstate full of traffic and office buildings. Almost like being transported to another world entirely. While in the area: If you can get out on the lake, Big Island is always fun in summer months. Or check out Lord Fletcher’s or Maynards for some waterside dining with an always-interesting mix of people. Also nearby is Mr. Jimmy’s Bench, in downtown Excelsior.